Adjustable Patella Tendon strap to ease runner’s and jumper’s knee. Do you have pain below the kneecap? 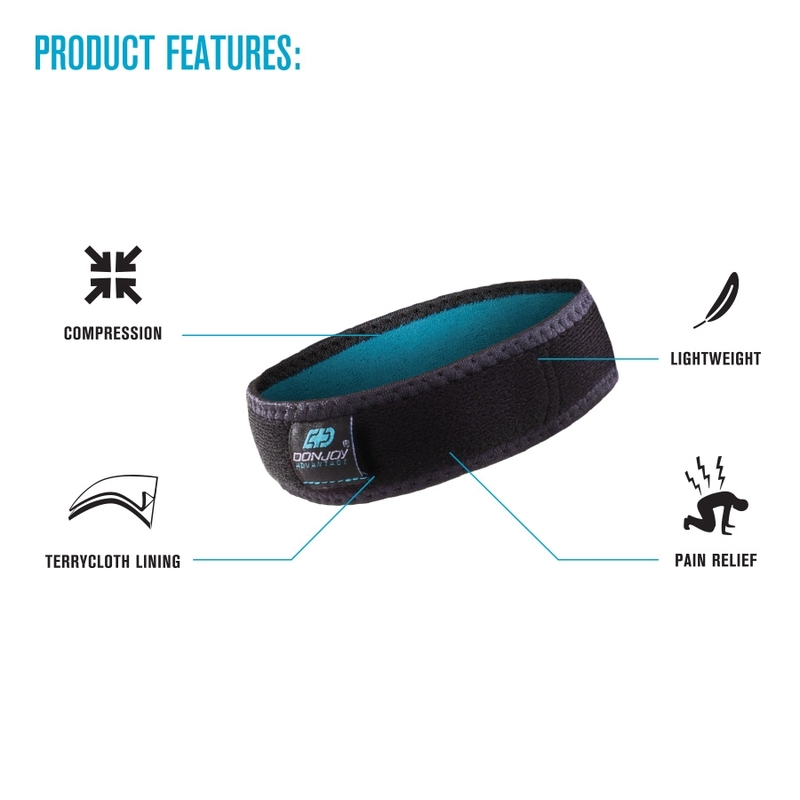 Whether you suffer from patella tendonitis, Runner's/Jumper's Knee or Osgood-Schlatter Syndrome, the DonJoy Advantage Patella Strap can help alleviate pain so you can run, jump or walk in comfort. 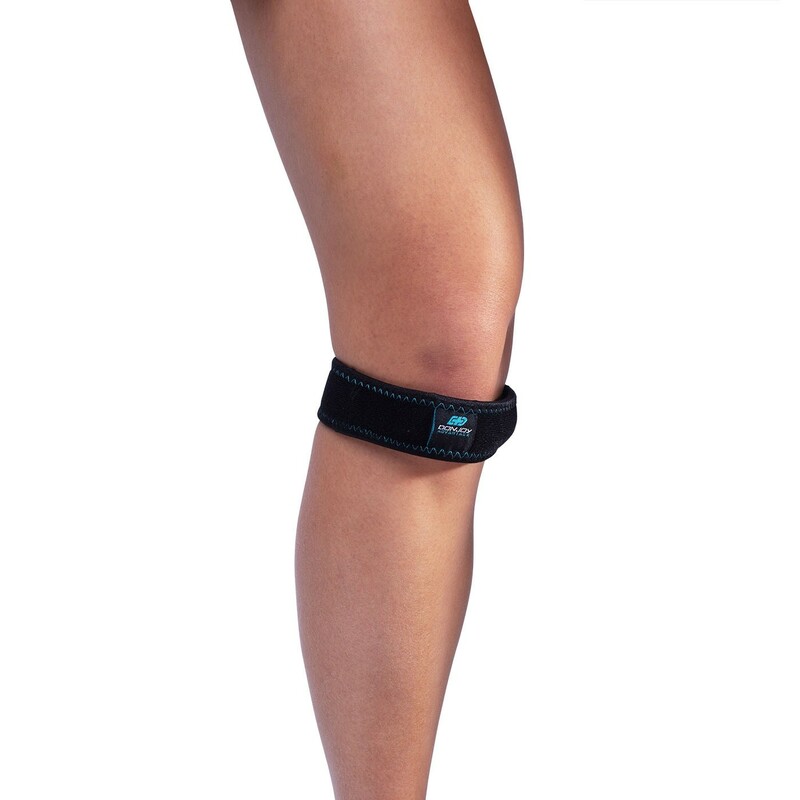 The Patella Strap might be small, but it delivers target pressure to relieve pain. Low-profile and lightweight, the Patella Strap can be worn under clothing discreetly and is comfortable for all-day wear. The DonJoy Advantage Patella Strap delivers targeted pressure to the patella tendon, improving tracking and helping to relieve pain. Designed with a tubular buttress to deliver mild pressure, the strap keeps the tendon warm while helping to reduce symptoms associated with constant running and jumping. Adjustable and comfortable to wear all day, the Patella Strap can be worn under clothing and fits on the right or left knee. Place the strap over the patella tendon (just under the kneecap) so the DonJoy Advantage logo is facing outward. Secure the strap. Adjust as needed.